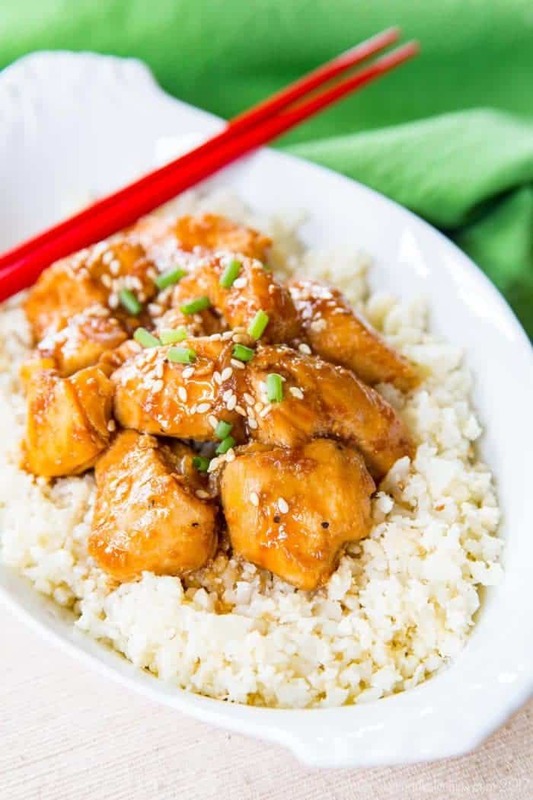 An Asian-inspired crockpot recipe with sweet and tangy flavors that are better than takeout, served over cauliflower rice for an easy paleo dinner. 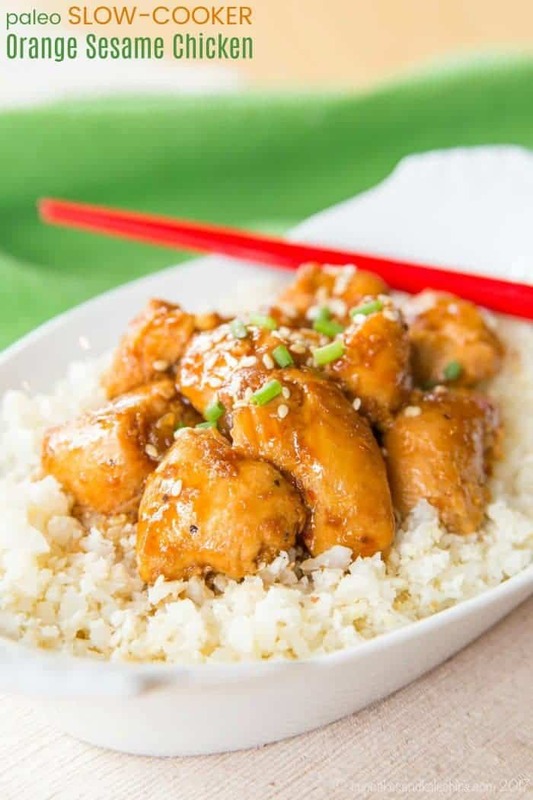 Slow-Cooker Orange Sesame Chicken is an Asian-inspired paleo crockpot recipe. With sweet and tangy flavors, it is better than takeout. 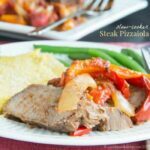 What’s also better is that when you serve it over cauliflower rice, it becomes one of the best easy paleo recipes for dinner. Not paleo? Serve it over brown rice. 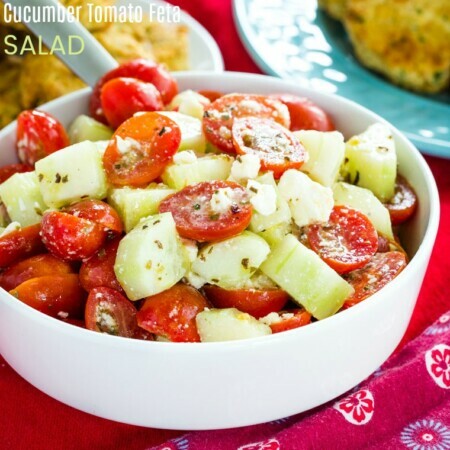 This is perfect to add to your collection of healthy gluten free crock pot recipes. Plus there are instructions to make it in your Instant Pot. I have a gripe with a lot of the slow cooker recipes and especially slow cooker cookbooks that I’ve seen over the years. So many just involve adding some sort of meat, then a packet of this, a jar of that, a can of cream of whatever. I totally get that sometimes people need the super fast convenience of recipes like that. But I don’t see why the crockpot can’t be used to make healthy recipes with fresh, wholesome ingredients. That’s why I am in love with The Big Book of Paleo Slow Cooking by Natalie Perry of Perry’s Plate. Before you get ready to click away because you don’t follow a paleo diet, just wait. This book is totally still for you. The recipes are simple and delicious. 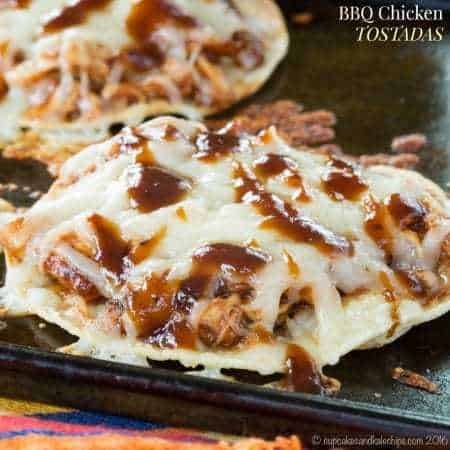 They are absolutely perfect if you want the convenience of tossing dinner into your slow cooker before you head out the door in the morning, but prefer to use real, whole food ingredients instead of a lot of processed food. Trust me, we eat plenty of cheese in our house, and I’m hard-pressed to get my husband and kids to opt for cauliflower rice and zucchini noodles over standard rice and pasta. But that is the beauty of this cookbook. 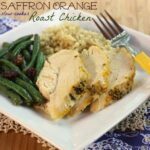 The main part of the meal is paleo, in case you have anyone in your house who may be gluten-free (like me), grain-free, and dairy-free. But you can always switch up the sides to ensure you meet the needs and preferences of everyone around the table. What are the best paleo crock pot recipes in the cookbook? 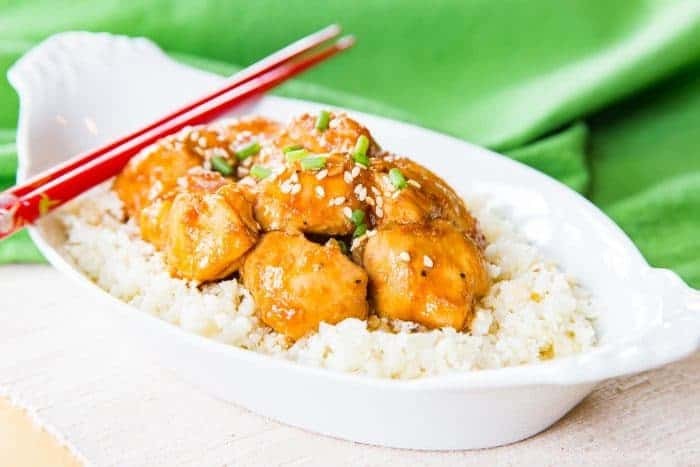 I ate this Slow-Cooker Orange Sesame Chicken over cauliflower rice. But the kiddos had regular rice or rice noodles when I’ve made it. We did spoon the Balsamic Herb-Braised Mushrooms over steak and sweet potatoes, keeping it paleo that night. But the guys in my house might have dunked some bread into the super tasty, easy and kid-friendly Sloppy Joe and Sweet Potato Chili, though I certainly didn’t miss the rolls. We have also enjoyed the Chicken Tikka Masala with Cauliflower. And there are so many more recipes I have marked to make. This includes Island Balsamic BBQ Shredded Chicken, Smoky Short Ribs with Mushrooms, and Easy Chicken Pho with Zoodles. Natalie brings you around the globe plus reinvents classic American comfort food in a straightforward and wholesome way packed with fresh ingredients and amazing flavors. Have you left Team Slow Cooker for Team Instant Pot? No worries, Natalie has you covered! 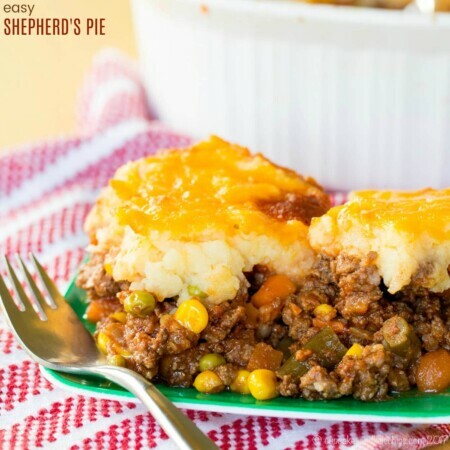 She put together a FREE conversion chart for each and every recipe in the book, so you can decide whether you want to let it slow cook all day or have dinner in a flash when you get home. You do have just a bit of prep work, cutting the chicken into chunks, slicing onions, and juicing lemons and oranges. Once you have done that, you literally just toss it all in the slow cooker and turn it on. When you come back, you will have to scoop the chicken out of the crockpot and pour the remaining juice into a pan to finish up the sauce. That’s where the Instant Pot can make this recipe even easier. You can remove the chicken to a plate and use the Saute setting to make the sauce right in the Instant Pot. But really, the sauce does come together in just a few minutes, so you have very little additional work to get dinner on the table. 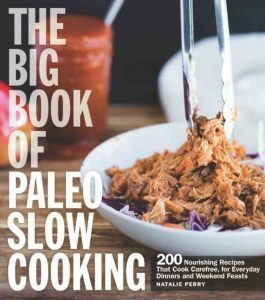 Natalie has a section at the beginning of the book where she gives useful information on both slow cookers and ingredients for paleo cooking. 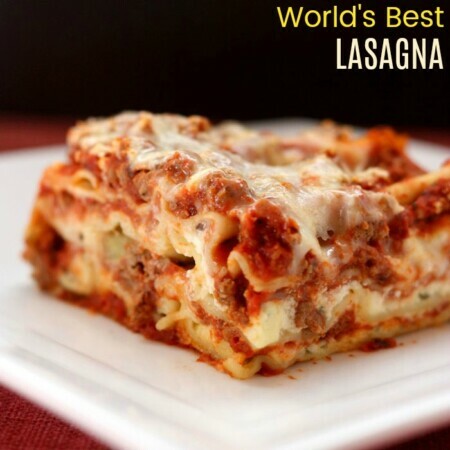 I’m going share a couple thing related to this recipe. 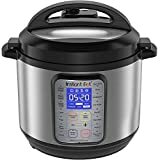 What kind of slow cooker do I need? I’ve been using a large 6-quart slow cooker for years. 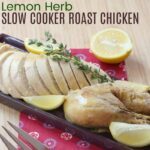 It’s got fancy timers and thermometers and such, which is perfect when I’m making a big batch of the World’s Best Chili or this (also paleo) Lemon Herb Slow Cooker Roast Chicken. However, when I was making just dinner for four, it was cooking too fast or overcooking. So I spent just a few dollars and got a little 4-quart slow cooker and it’s been a dream. What is Coconut Aminos? What can I substitute for Coconut Aminos? Also, let’s talk about coconut aminos, one of the ingredients in this recipe. It’s a paleo substitute for soy sauce or tamari, but it’s less potent. If you aren’t paleo and have trouble finding it, you could very likely swap for soy sauce or tamari, but only use half the amount. I did find coconut aminos in my regular grocery store, but you can also order it from Amazon. What is tapioca starch? What can I substitute for tapioca starch? Tapioca flour or tapioca starch is a grain free thickener, which is often used in a similar fashion as corn starch in non-paleo cooking. If you aren’t paleo, you can use corn starch, typically half the quantity. You can also use arrowroot. Maybe you are well-versed in the paleo diet, but just want to try something new. Or possibly you are making baby steps towards that way of eating and living. Perhaps you just want a delicious and wholesome meal from your slow cooker or pressure cooker. No matter what, I really hope you’ll try this recipe and pick up a copy of The Big Book of Paleo Slow Cooking. It is one of the best cookbooks in my collection and has become a staple for me. I’m sure it will for you too. What paleo crockpot recipes can I make? Some of my friends have also given you a sneak peek into Natalie’s cookbook. Food Faith Fitness shared her BBQ Paleo Chicken Wings in the Slow Cooker. The Crock Pot Citrus Pork Chili over at The Roasted Root looks amazing. And it’s Far East comfort food with Thai Chicken Coconut Soup from The Lemon Bowl. 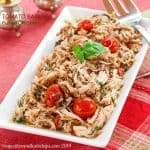 While there are a couple steps more than your usual dump-and-go crockpot chicken recipe, it is still quite easy, as you’ll see in this quick video. 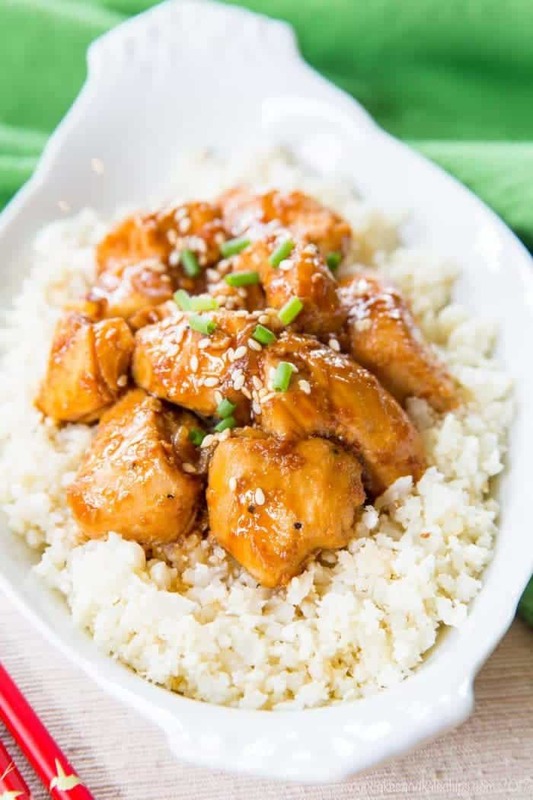 Chunks of chicken are tossed into the slow cooker with some onion, garlic, ginger, orange zest, and a few other ingredients to add flavor and moisture. After it has cooked for five or six hours, you’ll have to transfer the liquid to a pan. Then finish making the sauce by adding a few more ingredients and letting it get thick and glazy. Let it simmer while you cook some zoodles or cauliflower rice, and dinner is on the table. Place the chicken in a 4-quart slow cooker. Sprinkle with salt and toss to coat evenly. Add the onions, garlic, ginger, 2 teaspoons of the orange zest, half of the lemon juice, 1 Tablespoon of the sesame oil, black pepper, and red pepper flakes, and stir. Cover and cook on low for 5-6 hours or until this chicken is tender. Remove the chicken from the slow cooker with a slotted spoon or tongs, or drain the slow cooker through a mesh strainer, reserving the liquid. Return the chicken to the slow cooker to keep warm. Transfer the liquid to a skillet, and add the honey, coconut aminos, the remaining orange zest, juice from both oranges, the remaining lemon juice, and 1 Tablespoon sesame oil. Whisk in the tapioca flour until no lumps remain. Bring the mixture to a boil, reduce heat to medium and boil for about 15 minutes, or until the mixture is thick enough to coat the back of a spoon. Adjust to taste with more honey or salt, if desired. Pout the sauce over the chicken in the slow cooker, and if needed, cook on high for 10-15 minutes to warm it up. 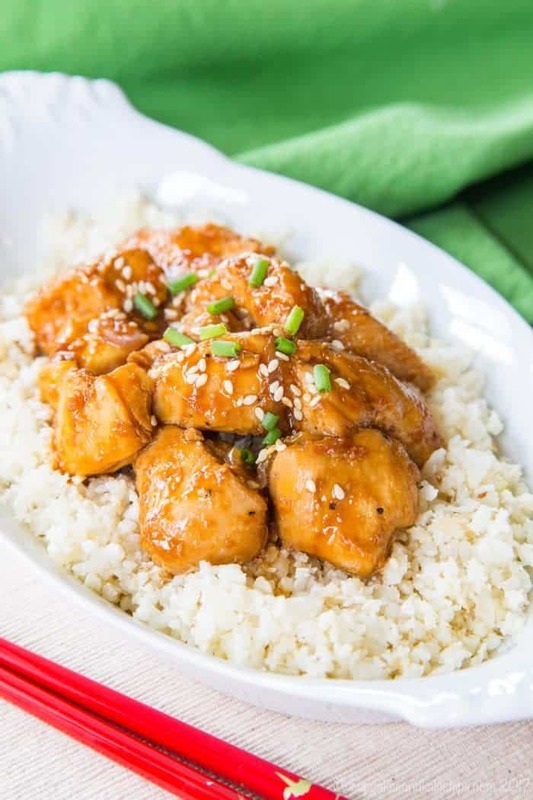 Serve the chicken over cauliflower rice and sprinkle with sesame seeds. In order to prepare in an Instant Pot, cook on the Manual setting for 15 minutes, then use the Quick Release feature to release the pressure. Then after removing the chicken, just leave the cooking juices in the pot, add the remaining ingredients in step 5, and use the high saute to cook until thickened. Turn off and return the chicken and vegetables to the pot. Stir until heated through. QUESTION! 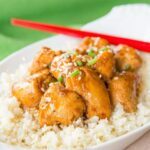 How do you cook the chicken in the instant pot? The Instant pot needs a cup of thin liquid to work, but I don’t see that listed here. Thanks!